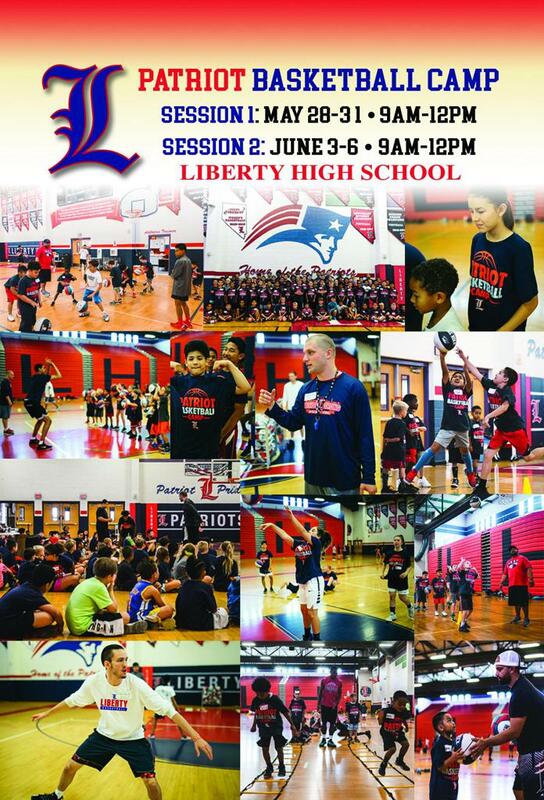 Patriot Basketball Camp: Sign Up Today! Welcome to the Home of the Liberty Patriots Men’s Basketball Program. On and off the court we will conduct ourselves in a respectable manner. Our student-athletes will strive for high academic achievement and will conduct themselves as gentlemen. We will represent Liberty with pride and honor. Teach, practice and learn the fundamentals of basketball. Develop disciplined, well behaved and well coached young men. Hold Liberty student-athletes to high academic standards and encourage them to excel academically. Assist Liberty student-athletes in graduating high school and attending college. Therefore, we will assist our Liberty student-athletes to take the SAT or ACT exams, as well as applying for colleges. Develop a positive relationship with Liberty administration, staff, parents, and community. ©2019 Liberty Patriots Basketball / SportsEngine. All Rights Reserved.